Our love affair with online purchasing is intensifying as ecommerce becomes more sophisticated, personalised and persistent, with offshore and local suitors ramping up their seductive tactics to gain our lucre and loyalty. Like something out of the Minority Report movie, smart techniques and tools are mining our data, tracking us on social media and targeting us with a wide variety of enticing goods and services at hard-to-believe prices. Although Westpac suggests economic confidence in Hawke’s Bay is currently the highest in the country, market researchers suggest retailers need to review the performance and the value delivered from their online shopfronts as technology and buying habits shift. Among the international Lotharios are eBay, Etsy, JD.com, Kogan.com, Asian-based Alibaba, Wish, Banggood, Airbnb, Facebook, Book Depository and of course its owner Amazon. There’s no question New Zealanders are getting the hang of digital shopping. Nielson Media reports that in the year to May 2018 two-thirds of us had made online purchases, up 37% from 2006 with an expectation that’ll reach 83% by 2026. Clicking ‘add’ to the shopping basket when finding affordable, well-described, sought-after bargains can be an intoxicating experience. As my adult daughter reminded me on one such spending spree, “Dad, those items are probably made by some poor person that gets paid a pittance in a sweat shop.” She appealed to my social conscience. It was easy to shut down the shoddily made shirts or machine moulded shoes with the chemical smell; not so much the amazing selection of lower cost books and occasional electronic items … my $120 stereo amplifier (local equivalent $NZ300 plus) arrived within seven days. The march of ecommerce has traditional retailing in a spin with price conscious Kiwis having greater expectations, leaving many bricks and mortar outlets struggling to get enough buyers through the door. In a 2018 report, Retail NZ’s chief executive Scott Fisher said the sector was under “substantial and sustained pressure” with 42% failing to hit sales targets, part of a general trend of underperforming. Spending in the “low net margin” environment was almost static; then there was growing crime and in-store aggression with owner-operators often struggling for a minimum wage equivalent. Their prime challenge is the internet and whether to view it with jealousy or as a friend with benefits. Annual online transactions are growing between 7-11% annually with strong evidence many are using the internet to research and compare product before purchasing in-store. According to BNZ, New Zealand’s annual retail spend was $49 billion (2017-2018 year) with online spending at $4.2 billion … about 10%. That compares well with the 2018 New Zealand Post eCommerce Review asserting $3.6 billion online in 2017, up 13%. The average purchase was $109 per customer and $2,350 over a year. Nearly half of online sales (47%) were with international sites; an increase of 23%, while local revenues grew 9% over 2016, ten times the rate of ‘bricks and mortar’ sales. NZ Post says that men shopped online less often but spent more. Biggest spenders were rural online shoppers and the fastest growing were the regions, up 15% compared to a 13% national average. Hawke’s Bay spent $113 million (up 17%) with purchases averaging $108. Over the critical Christmas period, November-December 2018, Paymark, which handles eftpos transactions for over 80,000 Kiwi businesses, says we spent $11.4 billion, an increase of 2.7% on 2017. While growth in ecommerce sales was a “rapid” 17.8%; it was only 1.8% for physical shop sales. Darren Hopper, Paymark’s head of ecommerce and marketing, blamed the slowdown in volume and value on increased pressure for traditional merchants, widespread discounting and ecommerce. According to Nielson’s Connected Consumers Report, smartphones or tablets are used by three out of every five New Zealanders for shopping research, with four-in-five going on to purchase items in-store. It says retailers wanting a slice of the e-tail boom need to be aware of how attitudes and behaviours are changing, anticipate the trends of the future and look at ways to make online and physical shopping easier and complementary. Brendan Fry, marketing director with NOW, agrees, saying technology is always changing and businesses need to innovate to improve their online experience and delivery, adapting to customer needs and changes in the market. NOW is a case in point; it’s just completed a forklift upgrade of its web platform and adopted a more efficient and cost-effective content management system (CMS) that doesn’t need a web designer to update. 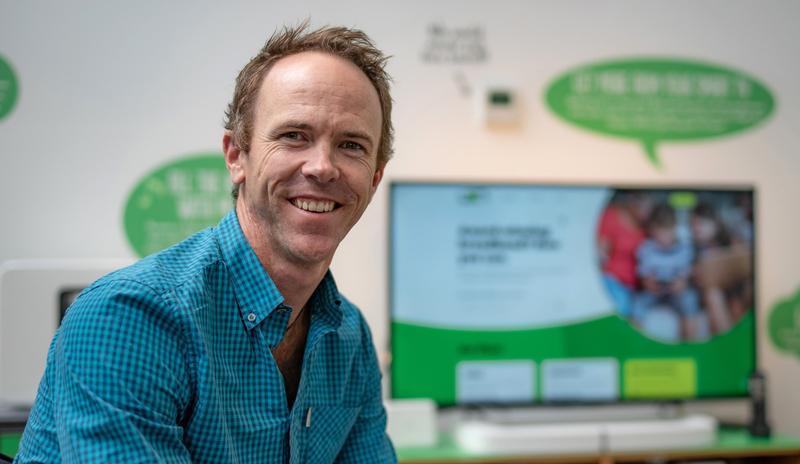 Rather than just a specialist marketing tool, Fry says the new portal is geared for business and expanding NOW’s penetration beyond Hawke’s Bay to consumers wanting advice on a better internet experience whether its video doorbells or help with networking and computers. Whether selling local produce or artisan goods or services, Fry suggests taking inventory of whether the operating platform is fit for purpose and how to add value to attract customers outside of Hawke’s Bay or overseas. He says New Zealanders now spend 18 hours a week getting their online digital fix, four hours more than in 2015, with mobile devices now commonplace for 78% of Kiwis, up 12% from 2015. Boyte says 15-24 year olds stay online over six hours a week longer than the average user. The market however is volatile and to catch their attention and keep it, as much detail as possible should be provided about products and services including the ability to purchase online. Over the past year retailers have expressed concern at the likely impact on online and offline bottom lines if, for example, trillion dollar US company Amazon opens a local branch. Its local apps now exclude products not available to Kiwis and its looking to expand its presence here, including data hosting. A dozen jobs were offered earlier this year including sales reps, an Amazon Web Services regional sales role, and technology specialists. Currently New Zealand is prohibited from using Amazon’s Melbourne-based store. Although Kiwi sellers can ship their items via Australia, they can’t yet avoid the high US delivery costs using the same shortcut. Amazon Prime is seeking greater government incentives to film a Lord of the Rings series here and it’s pricking against having to collect GST on goods imported by New Zealanders from its US shopping site. The so-called ‘Amazon tax’, announced in May last year, is viewed by Government and business as a way to level the ecommerce playing field. Currently imported goods under $400 are tax-free, but from October all offshore companies selling goods under $1,000 will have to collect and pay GST unless they’re selling under $60,000 of goods annually. While the new levy will increase prices the Government is also removing tariffs, custom duties and other import fees, making some sub-$1000 imports cheaper. Amazon has warned the new tax could cut the range of products sold here, claiming it’s “unenforceable and unworkable” and it may take two years to “assess the feasibility”. A joint submission from online marketplaces eBay, Alibaba and Etsy stated the tax was “novel, untested and complex” but they would try and make the investment required. Revenue minister and Napier MP Stuart Nash has said there will be no backing down — the Government had already factored in an extra $213 million from the ‘voluntary’ tax over four years in its May Budget. The collective breath is held over whether the online giants comply or block New Zealand consumers, whether Amazon’s predicted local presence eventuates and, if it does, will it then stop access to its US site as it has in Australia? Meanwhile the courtship of Kiwi customers continues as we test how stable these long distance ecommerce affairs prove or whether Kiwi e-tailers add value to their online attractiveness, improve their customer relationships and keep a bit more of the love local.